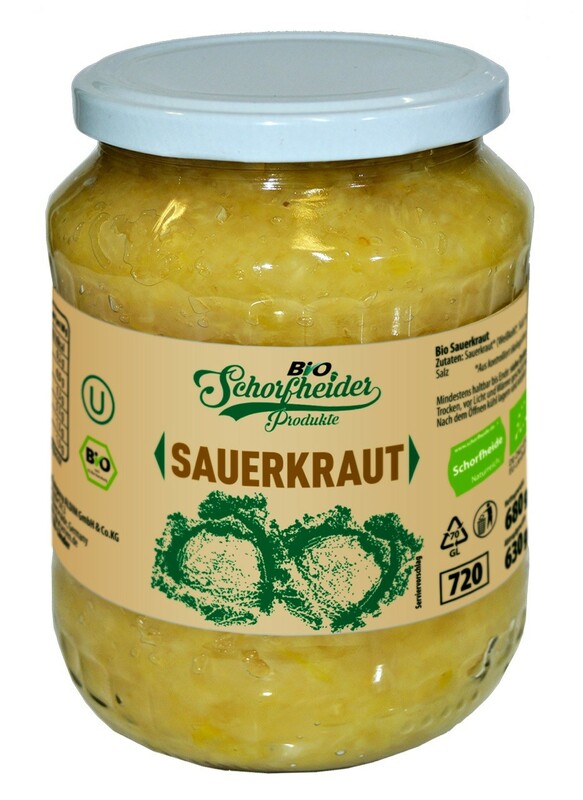 Product made of sauerkraut (shredded white cabbage with addition of salt, after process of natural lactic fermentation). Pasteurized in hermetically closed jars. All ingredients of agricultural origin and additional ingredients meet the requirements EU current legislation for organic production. Sauerkraut scraps from crunchy to slightly soft. From white to pale yellow and pale gray with shades of green or yellow – depending on particular spieces of cabbage. Characteristic of sauerkraut, without atypical taste and odour.